Apart from being “tile crazy”, the 41-year-old, mother of two, and native of Reno also has a passion for giving back. She’s part of the 39 North Downtown nonprofit to help revitalize Sparks where her business Loka Tile is based, while also managing the all-volunteer Loka Cares initiatives, which recently had a Halloween costume drive for foster families. “I don't like to take in money. What I like to take in is nonperishable foods, a big bags of couscous or brown rice, healthy stuff like that, or quinoa as a staple. We take in plates and forks because that's what we use the most of. We collect tables, so I don't really like taking money. I'd rather take those things because then the person that's donating knows exactly where it's going to,” she said of also organizing food events. She said she felt compelled to help even more when she thought one of her children acted spoiled. Fridays, in the parking lot of 4th and Record street, at around 5 pm, Handler leads a team of rotating volunteers, church groups and businesses chipping in, with an emphasis on healthy food. Volunteers, including kids, are welcome to bring a dish or just help serve. Supplies which are most needed include disposable plates, bowls, cups, silverware, napkins, organic canned food and pastas, rice, bottled water and toiletries. Early in the month, she says up to 200 people are served, while at the end of the month the number can go up to 400. Handler is also busy with 39 North Downtown Sparks, but she seems to have no shortage of energy and ideas to make her community better, all the while having fun with it. Handler is proud in being efficient and getting lots done and lots of people connected to work together to help others. She says it makes her sad when people are condescending or hyper critical of people she helps, saying they don’t know what their situation is. She’s against a tax on businesses to help the homeless as was recently passed in San Francisco, but would favor more services, such as a mobile unit going to different parts of town. “I would like to see a mobile unit that gives showers and basic haircut needs and hygiene products, all in one. Giving some people a chance to feel fresh and clean again, and maybe they have an interview the next day, or that day...The mobile unit can come out and help in that situation, give them clean clothes, suit rentals. That would be awesome,” she said as we concluded our interview. Colline DeBray, Transmitting an Ache for Gardening with the Urban Roots "Farmily"
Colline DeBray, is part of the Nevada Teach program, which for her, along with studying biology and education, also gets her to work with Urban Roots and middle school gardens. “To see the kids going into this garden and just picking the vegetables right off the vines and just eating them right there, it was so cool,” she said. She was pictured at the Urban Teaching Farm at Renown on the corner of 2nd and Gould. DeBray, a 19-year-old Elko native, has been a gardening educator at Pine Middle School, where she has been working with special education kids. Urban Roots plays an integral part in the local pilot Prescription Pantry program, whereby medical professionals screen patients to see if they have access to adequate food and if not, writing them prescriptions for healthy food matching their diagnosis. DeBray says some of the kids want to then try planting at home, but she also sees even more futuristic value. DeBray believes teaching out of the classroom is essential. “I think the problem with tests and with scores, you know, is that kids are kind of falling away from school, they're not having the drive anymore, but if you have programs like this that show you can learn through unconventional ways, you can learn through gardening, you can learn hands on, I think that'll drive them to do better and they'll retain the information more through touching things, through growing things, through all of that,” she said. DeBray has also helped with the Little Farmers program, for younger kids, at Rancho San Rafael Park, which will start again in March. “They're so fun. They just like take watering cans, water, whatever. We have garden beds down there and they'll go and water everything, they'll pick and harvest. They're just little balls of fire,” she said of that experience. At the Urban Teaching Farm, Jenny Angius, the development director, explains they host regular field trips from the Washoe County school district. They also have farm camps coinciding with school breaks here. She lists all the companies which have helped with different projects, from Lowe’s to Moana Nursery. Angius also emphasizes how kids bring new knowledge home, which can lead to eating healthier. “They are trying more fresh produce there,” she said. “They're taking care of mother nature, they're starting to compost… If they're learning where their food comes from, that's a beautiful thing. They're learning that it comes out of the ground, not in this package. That's a great start,” she said. Many of the plants are wilting as winter is approaching, and cars drive by noisily, but here in this little corner of Reno, it does feel like a much needed haven of green positivity and possibility. Ekmanis (left), Angius (center) and DeBray (right) are three of the “Heroes of Reno” which Urban Roots vibrant. Our Town Reno Photos and Reporting in November 2018. For more information on Urban Roots and all its programs visit https://www.urgc.org/. They also have drop in hours for volunteers, Saturdays, 10am-12pm, 1700 E. 2nd St.
Dilworth in front of the Burner Morris Hostel, where he will be performing "How To Be an Artist" starting Thursday July 19th. "It's a moving target," he says of his art which reaches across genres and definitions. "It has to change with what you're doing and who you are. Even for yourself, you have to keep on changing because if you don't, you start stagnating. And then you start doing the same old stuff and it's not any good for you or anybody." While an explanation of his performance art from both last year and this year is cryptic at best, Dilworth is clear about how he differentiates himself from other artists involved. "Basically they put up a whole bunch of pictures and they start selling things, and doing it as a gallery and they're not making a happening, you know," he said. "They're not making an experience. They're not doing something strange because inherently I know I really don't make any money from Nadaville because how can you? If you're trying to make an atmosphere and experience, you're trying to do something, you're not going to be able to really monetize it inherently." His last Nadaville seems to have been a metaphor performance on the eviction crisis, while his current plan is going to be tied to being an artist. "I'm going to have an application to become an artist because you know, a lot of people wonder how they can get into this art thing and this stuff," he said. "So we're gonna figure out how they can and they're going to have some applications and Jack Ryan (featured previously on Our Town Reno) is going to be the art commissar." Dr. Dilworth features at the opening of the above video in a typewriting service performance back in 2014, for an event called NadaGras, and the soft opening of what was then the Morris Burner Hotel. "I've always liked doing performance art with typewriters. It is called spontaneous writing improv, improvisational writing because basically you give me a topic, I can write it. I'll write anything, a poem, advice, a mystery story, whatever," he said. For many years, the NadaDada event took place in motel rooms, but Dilworth felt it was taking rooms away from residents who really needed them for shelter. "The Wildflower Village (with just the sign remaining) has special resonance for me because this is where I first did NadaDada," he said before taking photos for his current black and white Instagram photo project. He wonders if the former motel / artist colony will stay vacant or be turned into luxury condos. Even though he lives in Goldfield, Nevada, now, teaching (“everyone needs a day job and that's mine”), writing ("kind of the past, the present, the future of Goldfield, science fiction fantasy kind of horror stuff") and volunteering at a radio station, he comes back to Reno once or twice a month, and keeps close tabs on what's going on. Evictions and gentrification? "You have to live somewhere unless you're dead. A lot of places on the West Coast, for years, they haven't kept up with building affordable housing and housing for people who are middle class, and now all they're mostly building is rich people's houses. And that's a shame, because they're pricing people out, especially here. The people who kept Reno going, kept it awkward, who created history in Reno, they are all being priced out," he said. He predicts another bust after the current boom, just as bad as ten years ago. "Eventually only the rich people are going to be around. And how are they going to be able to do anything if no one can afford to live anywhere? It's basically a Bay Area situation, you know, people are sleeping in cars, people are sleeping under bridges and they're making, you know, supposedly a good wage." Dilworth says people don't always see the correlation between national politics and hyperlocal realities, but he says that's a mistake. "The events of the last two years politically should make people more aware of what's happening and what is about to happen. Because if you don't see the writing on the wall, you're going to get screwed. And I think unfortunately things are probably going to get a lot worse before they're going to get better because this is the last hurrah from these people who are doing these things." "We have to figure out ways to make life sustainable because there are ways to live here and have everything for everyone. Why not? That's what I always ask. So I think this is possible and I know it's possible. We just have to get through this rough patch," he said. He also says there is good coming out of the so-called Renossance for artists. "The good stuff that has happened is that people are starting to respect and want art and want to do more with it," he said. "The Burning Man culture and a culture of art and creativity and radical self expression and creating temporary autonomous zones. I mean, that's what Nadaville is all about." "I hope that people throw some wild flowers on it to make it what it was," Dilworth said at the end of his pilgrimage to the now in ruins WIldflower Village. From a section of his Non Creative Garbage web project called Haikus a la Kerouac (without the font or formatting): "Life without sunsets dismally trudging onward, where is the beauty? Visions of what was once the most beautiful thing, now sadness creeps in. Excuses abound when some people lack money, falling like snowflakes. Drop Forevermore Pallas's bust on the Chamber Door, get rid of the bird!" Past websites he's worked on have broken links but he's not worried about that. "I do have a website I need to resurrect at some point, " he said. "But, you know, it's time I don't have, I don't have an army of assistants helping me. It's just me right now. So, you know, I have to, I have to kind of triage what I need to do." "That's J.R "Bob" Dobbs. Who was Bob Dobbs? He is the man who was originally clip art, but he became a man. I am a subGenius." 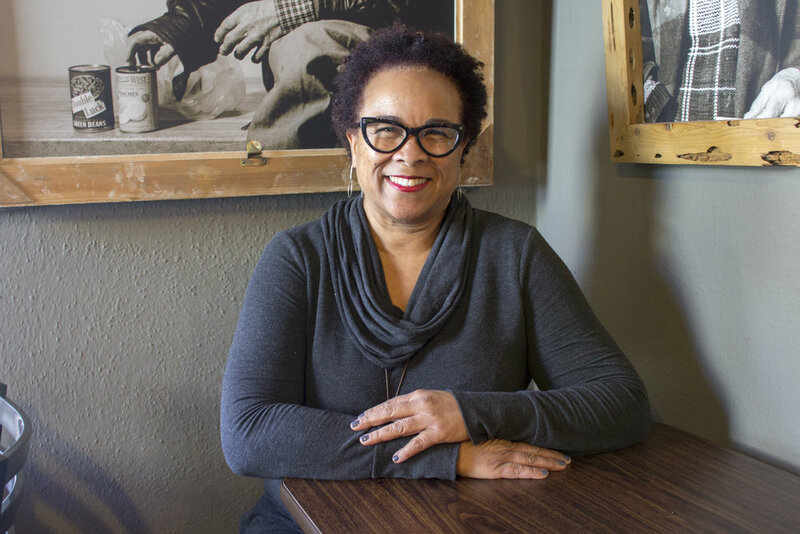 Geralda Miller previously worked as a news reporter for the Associated Press and as an arts and culture reporter for the Reno Gazette-Journal. She has run Art Spot Reno since 2014 with her business partner Eric Brooks. Miller recently sat down with Robyn Feinberg at Homage Bakery to discuss her current involvement in Reno's art scene, and what art means for Reno in this period of development. While Reno rebrands, part of its journey is a developing public arts scene, which comes with the risk of artwashing, whereby artists take part in a cleansing effort, and act as "regenerative detergent." Our Town Reno wanted to find out from those directly inside the evolving art scene what their own thoughts were. We first checked in with one of the major homegrown muralists in town, Bryce Chisholm from AbcArtAttack. Part 2 of this series is with Geralda Miller, the curator at Art Spot Reno. Robyn Feinberg: Can you tell me about yourself and your involvement with the art scene in Reno? I know you have a background with the arts in Reno. Geralda Miller: I got into the arts as the arts and culture reporter at the Reno Gazette-Journal, and I was really excited to see what was going on. The paper really wasn’t covering, it really didn’t do a lot of in-depth coverage of the arts. The previous reporter was into the theater, so he wrote a lot about the theater scene, but I was more interested in really digging into the grassroots movement of the art here, and of finding out exactly what was going on, why was it going on, what were the influencers for what was happening at that time. And that was when Dave Aiazzi actually was city councilman, and he was really big for supporting the arts, and he, he was a “burner,” so he went to Burning Man and he was really close to a group of artists that went to Burning Man. So, he got some of those artists, and they were situated at the Salvagery, they came up with the name (the community art space) Salvagery, and .... their first project was a piano project, where they took old pianos and made art out of them. They were placed around Reno during the month of July, which is Artown, and so that was kind of their first art project, an arts collective project. And then, they became part of the temple in 2011, the Burning Man temple, it was built there at that site at the Salvagery. That was really an exciting time because never before had that large a scale piece of art from Burning Man had been built here in Reno. So, that was really kind of giving Reno entree into the art scene of Burning Man. That was kind of, I think, a pivotal point for the relationship between Reno and Burning Man. And Burning Man is key, a key association here for Reno. It’s an economic driver ... and also I think that since this building of the temple, we’ve seen a lot more artists who have moved here, and want to be a part of Reno’s art scene. So, I think that there is some of that that has been a strong influence on Reno. Robyn Feinberg: Can you talk about this term that’s thrown around, the “Burning Man effect”? Geralda Miller: Well, I’m a burner, I’m ten years a burner. This will be my eleventh year out there. And I started going out there as a reporter, I actually wasn’t going as the official reporter for the paper. I went out there and shot pictures, I did like a 'who’s who' out on the Playa, I did a photo thing out there, and I went on art tours out there to see the art, and I wrote about the art and I wrote about local artists who were showing their art out at Burning Man. That was my interest, my interest was more about why do artists want to be out there and build, what is it about Burning Man that all these artists want to build out there, and it’s really impressive, I mean, the art that’s out at Burning Man is such a large-scale, and you can do things out there, you can build something, a project, an installation out there that you can’t in the city, that you couldn’t maybe because of size, because you might want to be using fire effects, flame effects on your piece, different kinds of lighting on your piece that just might keep it from being built in a city. So, it’s a great, I find it to be kind of like this great incubator and kind of like a test lab for the arts. It’s also, what’s happening now, I’ve seen a progression where it’s now become this collaborative movement between science and the arts. You see quite a few artists that are pairing up with different types of techies or scientists and they’re building these really interesting, super-creative art pieces out there on the Playa, which are mind-blowing actually. What is art and what does it do for society? Photo taken along 4th street in downtown Reno. Robyn Feinberg: Do you think that more people want to bring their art to Reno because of Burning Man? Geralda Miller: I don’t think that it’s all because of Burning Man, no I don’t think that, I’ve never been one that says that people are moving here only because of Burning Man, I think that there are some people that see that, it makes sense to move to Reno, and even Burning Man is looking for space, and their considering having an office here. For tax reasons, it makes sense. But there are artists who have moved here because now we have The Generator, which is a makerspace, that makes a lot of Burning Man projects, and we also have Artech which is another warehouse that builds Burning Man art. So, because we have these large makerspaces here now, I think that that has helped, kind of like encourage more artists to come to Reno and live in Reno. But I don’t see this big movement, or the “Burning Man effect,” I wouldn’t call it that. I’d just say that, yes, it is one of these influences, but if you look at Reno’s history, you can go back and you can see that there have been all types of artists here for years. When I think of the arts too, I don’t think of just visual art, you know you’ve got to think about music, about dance, you’ve got to think about theater. Reno Little Theater is the oldest theater in the state of Nevada, it’s right here in Reno. So, there’s been this theater scene that’s been pretty rich here. You’ve got to think about the influence of the casinos. The casinos, back in the day, they all had these huge house bands, they were bringing in these major performers from around the country to perform here in the casinos. And they all needed bands to back-up those singers. So, they brought in, and Reno attracted, top-notch musicians from around the country, around the world. They came here and lived here in Reno, and actually stayed here in Reno. Reno has a very rich music scene and has some strong musicians because of its gaming history...Reno does have a rich history for the arts. And also, you think about the city of Reno, the city of Reno has been purchasing visual art, fine art, for years. The city has acquired, and owns the amount of public art the size of Oakland. Actually, the city itself believes in art. I think that you have think about all those factors, and look at all of that when you think of Reno and Reno’s arts movement. Businesses are also hiring muralists to paint street art type murals to promote their businesses. Robyn Feinberg: Having been a writer for the Arts and Culture section of the Reno Gazette-Journal, how have you seen art evolve in Reno? Geralda Miller: It’s interesting...we now have a mayor who is embracing the arts, and that’s a first. That’s something that we should really be excited about, finally we have someone, even in city government, that is pro the arts. Her state of the city address this year all was based on the theme of the arts, so there has been, and is there movement. A lot of people, and myself, don’t think that Reno is an arts destination yet, I think that we’re on the verge of becoming an arts destination, we have Artown, which is in the month of July, however, we need to do more year-round. That’s one of the reasons why my business partner Eric Brooks and I, with Art Spot Reno, that’s pretty much our slogan. You know, Reno is the sport for year-round arts, it’s 365 days of the year not just one month of the year. And when I will know that we pretty much have it an arts destination when there isn’t this emphasis and focus on just one month of the year. Right now there’s still that, even within the community, even the residents of Reno, you talk about the arts and they go “Oh well I go to Artown,” well, what else do you do? How else do you spend your time on the arts in Reno? Are you going to the theater? Do you have season tickets? Are you going to different musical events that happen outside of July? Off Beat music festival for example. What else are you doing? When we get people from south Reno...when we get them into our downtown area in another month when they’re not scared of the homeless and walking around, then I’ll know that we’ve become an arts destination. When we get people coming over the hill from the Bay Area and they’re wanting to check out more of our arts and culture scene here, then I will know we are an arts destination. I don’t think we’re that yet. A mural recently added to the side of a motel in downtown Reno, even as many motels, often the last rung before homelessness, are being bulldozed away. Robyn Feinberg: So can you explain your business, Art Spot Reno, and how it started? Geralda Miller: Well, Art Spot Reno was started by a woman named Sam Strummel, and she and her husband owned Sierra Water Gardens... And she decided that she wanted to have this business, she want to start Art Spot Reno, and her whole idea was a 'rising tide lifts all ships,' that was her thing. She was like 'We’re going to have a business where people fly their flags and say they’re an art spot, and it’s like a membership base where businesses can pay to be a member, get a flag.' It was basically just an online resource for businesses to say 'Hey, we believe in art in Reno.' Because she owned two businesses herself, she really didn’t develop the Art Spot as much. I remember when she started the business, you know, I wrote about it for the paper, and I really liked the idea, I loved the concept. So, when I lost my job at the paper and I was trying to decide what I was going to do next with my life, where am I going to go, what am I going to do, and I thought the only way, and the only reason why I would want to stay in Reno, is if I did something that was affiliated with the arts in Reno. I found this to be, this area, the arts to be the growing, the exciting movement for Reno. I said then, if I’m going to stay in Reno, I’ve got to be a part of the arts. And so I went to Sam and I said 'Hey, I love your whole idea of Art Spot Reno, it’s not been something that you have really been able to build, and to grow, and I’d like to take it over.' And she was like, 'Oh my gosh, Geralda I’m so excited.' So, that’s pretty much how I got Art Spot Reno, and Eric Brooks had just moved to Reno, he had been in Scotland, he’s an artist and he had done a residency in Scotland, and he came here to Reno to manage an art space on 4th street. When he saw that that wasn’t really going to happen, he was looking for something as well, and so it was like, well, let’s do this together. That’s pretty much how it started. Public art is increasingly becoming a selling point for tourism to Reno. We decided that since I had been at the paper, I saw that people really wanted and needed a calendar of events, what’s going on in Reno. So, our focus was to have the most comprehensive calendar of events, arts and culture events, for Reno so people would have a place to go find what’s going on in Reno. We started it basically with that, with me blogging about what’s going on in the city, and from there we became arts advocates, we became advocates for artists here, and for their rights. So, we started doing more advocacy work. Then, Eric actually was the one who said 'I really like all the murals here in town,' well I said, 'Take me around and show me all of the murals,' I didn’t really know. What he was doing though, whenever someone would come visit him, whenever his friends would come visit from out-of-town, he would take them on these little mural tours, drive them around and show them all of the art murals in Reno. So, he did that with me and I just loved it...that’s when we decided to, on our website, have google maps of the different areas where you could find murals. That’s when we decided we are this kind of portal or resource for all things art in Reno. So, we said, we’ve go to start offering these Google Maps so people can go out on their own and see the art here in Reno, so we did the Google Map and then we decided, well, let’s give tours. So, we started giving midtown tours, that was our first tour, on the second Saturday of the month. And there’s so many murals, more than 80 now in Midtown, so we split it up, a northern route and a southern route. We now have a docent that helps us out with the mural tours because they’re so popular. We began an art walk, First Thursdays, we thought that, yes, there’s this Nevada Museum of Art that has First Thursday, but wouldn’t it be great if Reno had a First Thursday, wouldn’t it be wonderful if more businesses, more galleries, just kind of fed off of that and opened up and had a First Thursday night. Some cities do it well, Portland does it and has one, Oakland has one. So, we decided to start Art Walk Reno on the First Thursday, and at first, we would give people maps and let them go around and see the art, and now we lead them, do like a tour, we go visit non-traditional places, coffee shops, businesses that are showing art. We do go to some galleries as well...trying to promote, trying to get more people downtown and trying to promote and show all the different parts of art that are here in Reno. New murals continuously dot the downtown Reno landscape. Robyn Feinberg: With the mural tours, I’ve noticed more and more murals going up, is that something you bring people in for, why? Geralda Miller: Last October, Art Spot Reno put on the Reno Mural Expo. We decided that murals are a way for a community to be a part of the arts, you know, it’s a free gallery, you know, it’s an outdoor gallery... And also, we know that murals help to fight tagging and graffiti. It’s been proven that they really do keep taggers from tagging your city and your walls, and we know that murals can help with fighting blight. So, because of that, we decided to, we walked, my business partner and I, all around downtown, and there’s a woman here who, she’s very active and is always going to the city about areas where there’s a lot of broken glass...areas that need work. We walked with her, and she knew a lot of people who owned some of these old motels that are closed up, and we’ve identified walls around the city that we thought would be great walls to have a mural. And so, we contacted a lot of these owners, a lot of business owners, and ended up painting murals around, we ended up with 32 murals, so when you talk about the growing mural scene in Reno, you’re talking about what pretty much Art Spot has helped to do to build the mural scene of Reno. We brought in an artist from South Africa, from the Netherlands, we brought, I think, ten national artists from around the country, and even someone from the Navajo nation (Chip Thomas)...he came and was a part of our three day expo. So, we brought in Sebastian Coolidge, who is a well-known muralist from Tampa, Florida. We brought these muralists, artists, from all over, here to Reno. For three days, we identified walls and we had them paint all these beautiful murals in our city. That was something that we did as kind of like our way of helping to bring more art to Reno. We do have here in Reno we do have some strong muralists, and you should come on a mural tour and see that for yourself. But, there’s one muralist in particular, he was our consultant on the mural project and he paints all around the world, Erik Burke. Erik has been fabulous, when you look around the city and see all of these beautiful works of art that are here, most of them, not most of them, but a lot of them are his. He’s a local Reno resident, born and raised here, and for years he was a graffiti artist painting illegally, and now he’s this well-respected artist who is painting around the world. Public art is often added to places deemed as blight. Robyn Feinberg: You said murals help fight blight, can you explain what you mean by that, or what the idea behind that is? Geralda Miller: Well, you have these areas that are run-down, that are an eyesore on the city and community, and you put a mural up and automatically you’re bringing color, you’re bringing light to an area or some place that’s otherwise just pretty drab and dreary. When we put the Expo on, we’re painting in alleys, and we’re on 4th street, where there are a lot of homeless. We were giving tours, we had docent-led tours every day, and one of our docents told us about, the story about a homeless man who went on the tour and he went on the tour one day, and was listening and paying attention to all the art. The next day, he brought his girlfriend, you know here’s a homeless man and his girlfriend, he came back, he was so proud of what he saw in his area that he came back. So, what does that tell you? Robyn Feinberg: There’s this new political watchword, “artwashing,” that generally means a city will start building galleries, museums, and paying for more art, such as murals, as part of gentrification and resurgence efforts, with nicer more expensive areas building up around them and pricing people out. Do you agree with that, is it happening in Reno, in your opinion? Is it an intention with the art scene? Geralda Miller: Of course it’s not the intention, with the art scene, absolutely not the intention with the art scene. I don’t even know why that would be thought to be the intention of the art scene, of course no artist is thinking like that. Artists don’t think like that, that’s not an artist’s purpose. What happens though, gentrification is a fact of life, I’ve lived in enough cities around the country to see how gentrification works. We know that gentrification is happening, look at Midtown. Midtown is a good example of that. And it is a concern, it’s something we’ve talked about, and we talk about with out city officials, regularly. Our concern is that artists are not going to be able to afford to live in these communities where they’ve built. That’s always the way it is. You have artists come in, it’s always gritty. I remember when Midtown was gritty, when Midtown was this area where more of the artists lived and others, and (some) Reno folks were afraid to even go in... I remember when people were afraid to go to Midtown. Now, because of the development, and it’s not because of the art, it’s the development. Yeah, people feel safer when they see art on the walls, the artists were there and the artists were there not so that white folks from wealthier neighborhoods could come in and take it over, that doesn’t make any sense. That doesn’t make any sense to me. Why would an artist think like that? Artists aren’t thinking like that, that’s developers, that’s the way they’re thinking, 'Ah look, they're in here making this area pretty, we can make it prettier, we can like slick it up.' Midtown is very slick right now, I mean, the grittiness is gone. What made it a really interesting, different community, that’s leaving, that’s leaving the area. Local artists such as Joe C. Rock are getting more and more opportunities to display their art work in a changing Reno. Robyn Feinberg: To wrap things up, do you think that art is doing something important for Reno? Geralda Miller: Art is doing something for the city. Art’s doing something for the city right now. I mean when you walk around and you see sculptures, and murals, you can see where it has made an impact. It could make a better impact, it could make a stronger impact in design. 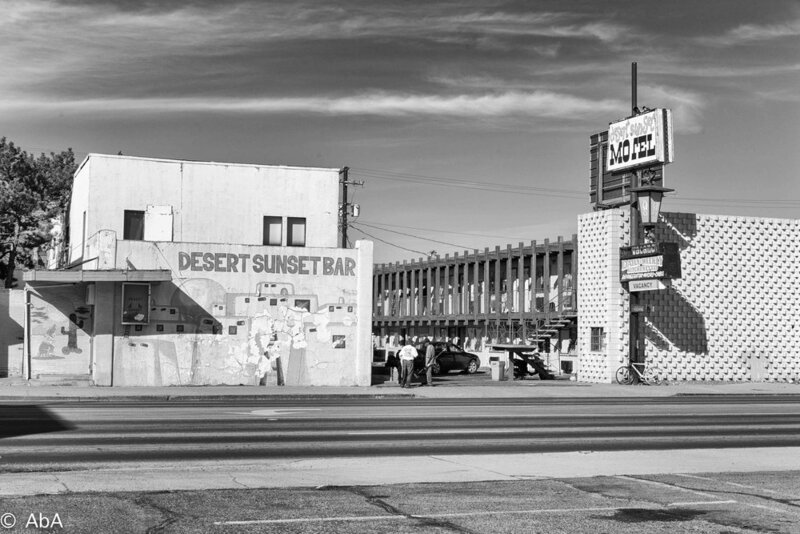 It will be interesting to see who this developer who just bought up all of 4th street (Jeff Jacobs who has been buying properties along parts of 4th street), and is tearing down all of these motels, hopefully he’s teamed up with some very creative design firms and will bring great design here, which is art. And also, hopefully have and incorporate, be it sculptures, murals, mosaics, be it something new, light, hopefully that will be incorporated into design. So, there is a way for the arts to strongly be a part of design of new development, and I hope that that happens. I hope that there is that collaboration between the artists and creatives, let’s bring all of the creative minds together, because I think that that’s key, that’s important. Note: Some comments and questions were trimmed and edited for clarity with no change to the original content or meaning. Bryce Chisholm, a Reno-born artist sat down with Robyn Feinberg at Bibo’s Coffee shop to discuss some of the positives and negatives of being a local artist in the Biggest Little City, and how murals fit into the city's history, present and feature. Photo by Robyn Feinberg. While Reno rebrands, part of its journey is a developing art scene, which comes with the risk of artwashing, whereby artists take part in a cleansing effort, and act as "regenerative detergent." Artwashing often goes hand in hand with gentrification and higher prices in long abandoned but now revalued downtown areas. In this process, a certain style of graffiti which came out of the street anarchist tradition also becomes commodified. Our Town Reno wanted to check in with one of the major homegrown muralists in town, Bryce Chisholm from AbcArtAttack. Part 2 of this series this week will be with a coordinator of the local mural art scene, Geralda Miller, the curator at Art Spot Reno. Both will share some of their thoughts from inside this local mural movement. Chisholm, who studied at Earl Wooster High School, TMCC, and UNR, says he decided to become a full-time artist in 2010. He has been a paid muralist and artist with the City of Reno as well as an official artist of Artown. He is also now on the city's Arts and Culture Commission. He says the much talked about "Burning Man" effect does indeed drive a lot of what is going on artistically in Reno. "Over the years it’s kind of grown into Reno being the hub for what was going on there. I would still say that the main portion of the people are from San Francisco and L.A., so they drive through and they pack our stores and buy all the water and supplies and stuff from the stores," he said. He says, now with more communal maker spaces and group art projects happening here, as well as pre-burns and post-burns, the permanent Reno Burner scene has grown, creating year-round artistic energy and interest. "The minute you leave (Burning Man), you’re already planning next year. So, it’s almost like this year-long obsession because you’re like 'Well next year, I’m going to build this and it’s going to be so awesome.' So, it kind of just becomes your lifestyle I guess. And so, it’s a creative lifestyle because you’re going to build this structure and tent, and it’s going to have a shower and be really cool. So, it just has this domino effect, and then you make friends and they are building these structures, so you have this community of like-minded people that are building things and a huge portion of that is art…or people that support art and care about it. So, I guess the Burning Man effect is still growing and it still continues to create new projects and people that want to be involved," he said. Murals are part of the advertising campaign for a new, artsier and cleaned up Reno. From his website, Chisholm says he has "a fond liking for undervalued beauty", as well as a love for street art and graffiti, which he says were long frowned upon locally, and still are looked down by some. "When I was young, at Wooster High School in the 90s, I loved graffiti, that was my thing. I loved seeing it. In Reno, they really looked down upon it and there wasn’t much of that. So, me and maybe four or five friends would either take a monthly or twice a month trip and go to the Bay Area. We would walk down dirty allies and take pictures and just look for graffiti and street art, wherever we could find it. Back then I wanted to start a magazine and so that’s why I was trying to take as much photos of it as possible, and there wasn’t really any in Reno," he remembers. Controlled Street Art: Pedestrians walk by city and competition sanctioned mural art in downtown Reno. But now, in Reno is street art something you can just paint out in the open, or is it sanctioned? "That’s really a touchy subject, or an 'I don’t know,' because I know the city is always, and I don’t want to say too much, but the city’s always said 'Well we like that, but we can’t leave it because then we’d have to leave everything,'" Chisholm explained. "It’s hard because who’s to judge what is good graffiti and what is bad graffiti? I mean I don’t want to be the one that does that. So, there’s two sides, say the people who say any graffiti is bad graffiti, and then there’s the ones that say 'Well, that’s really nice to look at so it’s okay.' So, it’s a real thin-line that you’re trying to walk [as an artist], I’m sure you can do stuff if people like it. But, there’s also the ones that are like, 'If you’re doing anything like that, it’s bad.' Finding that nice happy place is kind of difficult," he explained of his own challenges as a sanctioned, paid street artist. "The city does like signal boxes, that’s their like main thing right now," Chisholm said. "They’ll be doing [about] 30 signal boxes, coming up in the springtime. They’re the little boxes on the corners as you are driving around, the people get in there and control the traffic lights and what not. So, usually they’re just green or gray, and they get tagged a lot.... So, they will be painting 30, I’ll be painting one in May. Hopefully they don’t get tagged, first off, and then the other, hopefully people enjoy looking at them and it just adds, in my idea, if you’re driving past one on the way to work and it makes you smile a little bit, then it’s done what it’s supposed to do." Chisholm agrees that art has played a role in current gentrification as in other cities, previously. He also says if Reno really does believe in art as much as it says it does it should also have more people actually buying art and allowing artists to live from their work. "Artists go into like a dilapidated, run-down area, they start painting there because it’s low-rent and make it all cool, and the next think you know there’s a Starbucks there and coffee shop, and then the artists can’t afford the place and they’re kicked out, then they’re moving on to the next area. I definitely worry about that kind of thing happening. I mean, rents and house prices are just insane right now, houses are selling for prices that they’re totally not worth, but I don’t know, somebody is affording it because they keep on buying it." The situation might be good for artists initially, he acknowledges, but not in the long run. "I worry that that might be bad for artists. Artists keep on creating no matter what, but I don’t know if there’s enough support for the artists in terms of cash, and buying and paying. It’s nice to say: 'Oh, we love the arts, we love the arts,' but if you’re not buying paintings and paying for murals, then it doesn’t necessarily help the artist. I still want to see more of that ... people buying art, paying for murals. I mean, really, there’s probably only a handful of working artists in town. I think that if you’re saying Reno is art, art art, there should be a lot more than that...I don’t know if there’s quite enough support yet. 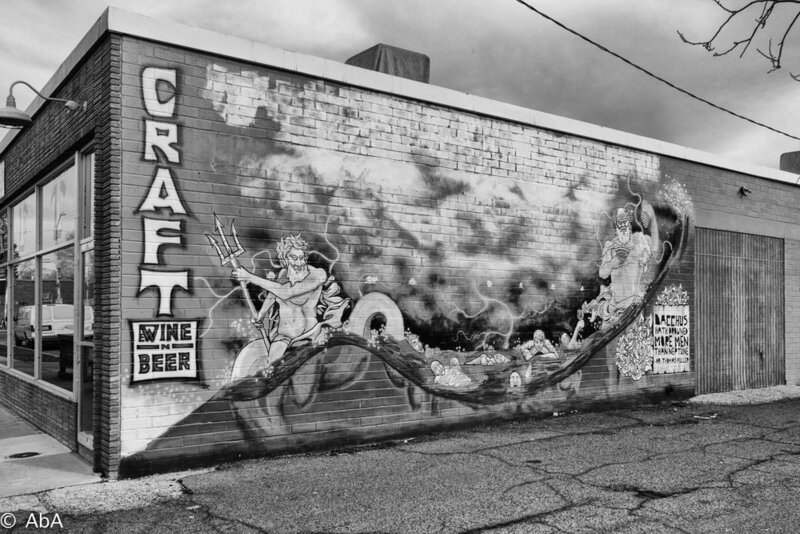 Businesses also pay for muralists to decorate their walls in the downtown corridor. Chisholm doesn't see the current Reno situation as artwashing per se. He says he would be more worried if more and more non-locally owned corporations were taking over Midtown but he doesn't see it that way now. "The rents in Midtown being part of “artwashing,” I don’t see it as that way," he said. "I see it as already upturning, so the people that own these buildings, that’s part of their way of also making that happen. That’s just another step on the stairwell because the property is getting more valuable, they are refurbishing it, so one of the other things they do is that they will paint a mural or put some artwork up there, and then it’s like the building is better and there’s something to look at, and you’re in a good part of town, so then the rent goes up because more people want to live there. I guess if that [artwashing] is a thing, then it’s probably just a part of it, that the owners of these place use it as like a 'Let’s give them another reason to pay $100 more,' or whatever it is even," he said. Another mural from downtown Virginia street. These murals have been getting renewed on a yearly basis. Unlike other places were art has really boomed with revitalization, he doesn't see a gallery system taking hold in Reno at this point. "But every other gallery in town that I’ve seen usually closes within a year or two because it just doesn’t work, there’s not enough people buying art and selling, and supporting artists. I still don’t know if it’s at that point, there’s definitely more buyers, I guess, but there aren’t galleries consistently selling local art. Most of the stuff that the Stremmel Gallery sells, and they do an amazing job, they’re awesome at it, but a lot of those they bring in artists from out-of-town that are really well established, then they [the galley] give it to their clientele and are like 'This is a great investment, you should buy this,' and then they sell it. Most of what’s still in Reno I think is coffee shops and stuff, I don’t know too many artists that can really live off that." Chisholm has a Shop & Cart section to his own website. "If you go to San Francisco or Seattle, L.A., they have galleries that have been there and are selling the local art scene, and they’ve been well-established, and they’ve been there for a long time because people go in there and buy a painting for a $1000, or whatever the paintings are. I don’t know if I necessarily see that in Reno, I mean, I might sell a painting, but it’s usually somebody that already knows me, not knows me, but knows my artwork, and they’ll reach out to me. But as for a gallery, I just don’t see it happening really, at the moment," he said of the challenges of selling art in Reno. "Right now there are grants, mostly or like nonprofits, so there’s several organizations, theater groups and different things, which are all deserving...." Chisholm said. He says there are just too few such opportunities currently. "There’s the Nevada Arts Council...they do some grants, but usually there’s only one grant every two years, and then there’s like three honorable mentions, and that’s statewide. So, that one’s tough to get, you know. What I’m hoping to create is like five to 10 artists every year, they would get $1000 or something like that to help create whatever they’re doing. That would be [in] Reno." He would like this to be open for artists in a broad sense. "It would be for somebody who needs a grant to make an album, or put on a theater show or something like that. One of the other ones we were talking about doing was like an exchange, so New York would send an artist to Reno, and we’d send an artist to New York, and each one would have two to three weeks of residency to create art in Reno, and then have a little show at the end.... I don’t think there’s enough monetary value going to artists, so, if I could help that in any ways, that would be really nice, that’s what I want to do." If you have ever seen rocks painted with ornate designs hiding around Reno, you may have just seen artwork painted by Debi Handrich-Walker. Walker is a founder of a Facebook group called Reno Painted Rocks dedicated to painting rocks with designs and hiding them in random spots across the city. Walker started the group in December 2016 after seeing a similar Facebook group called Whidbey Island Rocks based in Washington. “I think that painting or having an outlet does allow for stress relief. If I’ve had a rough day at work, I go in and I paint and I feel better,” Handrich-Walker said. Photo and Reporting by Kevin Sheridan shared with Our Town Reno. Handrich-Walker said that part of what drove her to start the Facebook group "Reno Painted Rocks" was a love of art abandonment, or leaving artwork somewhere for others to find. The group has over 1,500 members, dispersed all over the world, from Reno to South Korea. Handrich-Walker, who also works in a bakery, said she “loves” Reno and its arts and culture scene, which she described as up and coming. While also serving as an outlet for her, she said she likes the fact that the rocks can make someone else happy. “If I can paint a rock and know that it's going to bring somebody a smile, that is soothing to me," she said. Handrich-Walker, who says she has planted hundreds of rocks around Reno since the group was founded, added that the time it takes to paint a rock depends on its size. She said it can take anywhere from one to two hours or several minutes. Photo and reporting by Kevin Sheridan shared with Our Town Reno. Why don't you join the movement, make a rock, hide it, and go look for someone else's decorated one? More instructions are on the Facebook page. Photo by Kevin Sheridan shared with Our Town Reno. Amid the sculptures and other creations under construction in the art co-working space known as The Generator in Sparks, there is an area dedicated to Creative Potential, a company where adults with special needs can work on a commission basis to design and create non-toxic toys for children with disabilities. “A lot of people think people with disabilities can’t do anything at all,” says 23-year-old Creative Potential artist Connor Fogal. He has limited use of his arms and legs due to cerebral palsy. “I like to prove people wrong about what they think about people with disabilities,” he says. He pursues his passion for painting by using a paintbrush attached to a headset to create his work, some of which is on display in restaurants and offices around Reno. According to the Bureau of Labor Statistics, a disabled person is twice as likely to be unemployed as a person who is not disabled. One of Connor’s main goals is to find a job with a competitive wage which will allow him to financially support himself. As a person with disabilities, generating this income is an uphill battle. Fogal recently worked at a job which paid $8 per hour. However, he says he was only given one hour’s worth of work each day, despite the fact that he was available at the work site and willing to work for six hours every day. Observing this type of treatment is part of what drove artist and educator Spencer Allen to start Creative Potential. In order to promote competitive wages, Allen designed the company so the artists keep 80 percent of the earnings made from their products. Creative Potential is also designed to be an inclusive work space, which means people with and without disabilities work in the same workplace. Since that workplace is in The Generator, Fogal and Allen have been taught to use the facility’s equipment, like lasers, to further develop their artwork. “People’s perception is that [The Generator] is just about Burning Man, but there is an element here that is socially conscious and is aware that what we are doing is a benefit to Reno,” says Allen. In the future, Fogal and Allen would like to see Creative Potential grow, with more artists contributing and more people assisting with production. Fogal would like to show his work in galleries in large cities like San Francisco, L.A. and New York. Another artist who works with Creative Potential is Fogal's niece 16-year-old Ashleigh Fogal. She likes to play the piano and created this “monster” while her uncle painted. Fogal’s own passion for art started with an interest in mixing different colors of paints. He is currently working on a painting series about his family members. The so-called "Pirates of Reno", members of a caring culture who dress and act the part, have a long tradition of feeding the homeless on a weekly basis on Record Street, as part of the We Care Volunteers program. The pirates were front and center at the recent Reno-Sparks Pagan Pride day. Flogging, water torture, accepting bribes to issue warrants, drenched survivors told to "go forth and sin some more," and auctions for We Care Volunteers were part of the festivities as pirates and witches invaded Idlewild Park. George (right), a father of four and grandfather of one, now living on the streets, recognized the Pirates of Reno from their weekly feeding. A Knight of the Favor Jar gave George some cheer and bottled water. The Knights, like the Pirates, perform volunteer work. Knights volunteer their time to help others do just about anything. Knights will shovel snow, move furniture or sit and talk. When the Reno-Sparks Pagan Pride Day 2016 came to a close, Knights helped clean up. Gathering flowers used in the Mabon pagan ritual ceremony of thanks for a bountiful harvest, this Knight struck a pose. Amid rising rents in downtown and Midtown Reno and lots of competition among tattoo parlors and tattoo artists, the South Town Tattoo Collective is living up to its name: collegial, giving, socially conscious and accessible in a shared space without prohibitive costs. Artists from the collective also work on community gardens and hold weekly potlucks for people living without a roof over the heads. “The main purpose for starting a ‘collective’ tattoo shop was the idea of breaking down hierarchy,” says founder and tattoo artist Jay Dee Skinner. Jay Dee Skinner has been tattooing since 2010. He is best known for his portraits, photo realism, black and grey colors, and custom lettering tattoos. “Reno is an art town. It is overwhelmed with tattoo shops. We have so much to benefit from being a collective,” says Nichole Moore, one of the tattoo artists at the South Town Tattoo Collective. Moore is booked out with about three, four customers a day. This back Mandala piece (many times defined as a geometric figure representing the universe through symbolism) has so far taken her 24 hours, and will be completed after another 8 hours of work. "Custom, one of a kind tattoos with deep meaning, in a safe space is the demand we provide for the people," Skinner says.“Sharing a bond with the person walking through the door and becoming old friends, and quick, is my favorite part of the art (...) Our people offer up a lot of trust that we take very seriously. Our goal is to always honor that and give our very best back to the people." Jack Ryan, An Artist Who "Pops Color Wheelies"
It’s almost showtime for Jack, one of the chosen for the “Artisans in the Secret Garden” show tomorrow Saturday, an all-day Artown event showcasing the work of local artists, clothiers and jewelry makers. “I might not be a genius, but I have the hair of a genius” Jack says, in front of some his art at the Potentialist Workshop in Reno on July 8, 2016. At his corner space at the 2nd street Potentialist Workshop, Jack, who says he likes to “pop color wheelies”, and who was encouraged to become a painter after being a local theater revelation, is figuring out logistics and which of the eight to 12 pieces he says he will be displaying. Jack traces some of the inspiration behind his recent work to growing up in Hawaii and spending time at Pyramid Lake and Black Rock City. Known by friends for his unique, self-taught paintings, full of dazzling color combinations and Swiss cheese cut out canvasses as well as his way with words, Jack shared some of his philosophies of life and lessons learned from painting for the past “four and half years” with Our Town Reno. How would you describe your style as artist? “This has been an exploration of technique revealing itself while I’m able to be patient. This is the first time I’ve had a relationship in the physical world where there’s been tangible results, I think. Although the jury is still out on that. I play music but this seems to be easier on people. Imagine what this sounds like, it might be too much." “I like the motion. I like how it fits into my vision of showing transformal objects. You may see a symbol in there that you may not recognize, but that your DNA definitely recognizes." Some of your pieces have cutouts on the edges. What’s the idea there? “I’m trying to emulate time-coded tablets. I’m actually trying to throw lines of totems and tikis. I grew up in Hawaii and spend a lot of time in Pyramid Lake, and I’ve been exposed to human spirit aspects. I’m trying to let my DNA breathe those experiences. I’ve also gone to Burning Man quite a number of years and that city taught me how to throw a line. I have to throw a line where I do my art that would fit in the pantheon of that city of how much beauty I’ve been shared with. I have to fire back or else I am not doing what an artist should. 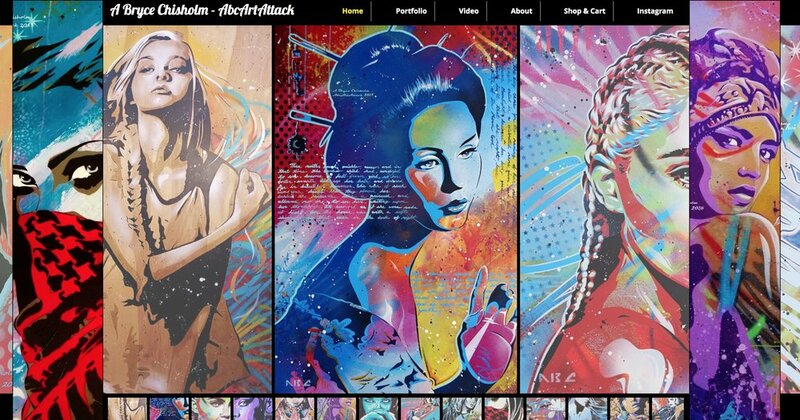 And also, you could strap (my paintings) to anything in Burning Man and get shade. That’s also why the design is cut out. You can rope them. You can tape them. You can clip them. They’re made for function. They can be cheese trays. You know people eat cheese." How does painting help you? "The frozenness, to have that one moment of frozen is kind of important in this day and age as we see image upon image upon image. We’re just inundated with images. Me having a relationship with a frozen moment is something that my soul hasn’t been able to find in another place and it’s kind of nice to be helped in this way. I never imagined it. I’ve lost weight though since becoming an artist. I even lost 30 pounds at one point, but I've regained some." Is it really difficult to be an artist? As an artist, they’re not kidding. They’re the lowest rung on the ladder of society for a reason. They just couldn’t make it as humans. That’s really the only reason I became an artist. I couldn’t make it as whatever is going on around here. But these four and a half years, I’ve learned what an artist is not. Maybe after a couple more months, maybe I’ll learn what an artist is. I’ve been stretched to my limits. I’ve lost everything, but it’s ok. There’s no other way out. The free to access Saturday July 9th Artown event Artisans in The Secret Garden will be from 9 am to 4pm at 751 Marsh Ave. Reno, NV 89509. Note: Questions and answers were trimmed. Interviews and photos for Our Town Reno on July 8, 2016. Local balloon artist, I.B. Funny, poses for a picture while making balloon creations for kids at Idlewild Park. “This is a classic pose that I like,” he says as he gets into position with a smile on his face. I.B. Funny frequents local events to share his craft of balloon making. Gabriel Torres, owner of Spectre Records on Wells Avenue, prides himself in his smaller, select music collection. Spectre Records moved in December 2015 from Center Street to its current location. CREDIT: Natalie Van Hoozer for Noticiero Móvil. Michelle Hawkins is a volunteer coordinator at Teglia’s Paradise Park Community Garden. Hawkins says garlic, onions, chives, collard greens and turnip greens are already looking good as this Spring 2016 slowly rolls around. The community garden is open to individuals and non-profits. Potlucks are held in the summer.